I am glad to be part of the blog tour for His Wicked Desire by Dawn Charties. 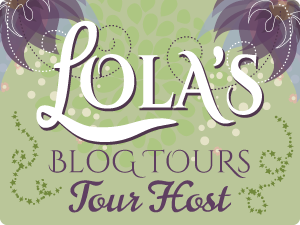 I’ll share my review with you and a tour wide giveaway! I received an ARC of this book from the publishers via Inkslinger PR in exchange for my honest review. Brye is waging an inner war in the aftermath of a brutal warlock attack. Always defined by her beauty, she struggles to deal with her disfigurement and she feels lost and unsure of herself. Embarking on a road to self-discovery, she reconnects with her old friend and childhood crush, Josh. Both have harbored romantic feelings for the other though they are reluctant to admit it for fear of being hurt. Timing and circumstances have kept them apart thus far. I must confess that I didn’t read the first book in this series because I didn’t actually realize it was a second installment. However, it wasn’t an issue in terms of the story because the author did a fantastic job of backfilling essential elements and clearly explaining key plot points and I never felt confused or that I missed out on anything important. So you could read this as a stand-alone read. That said, I may have been more invested in the characters if I had read the first book. I really liked Storm and Nate and I’ll most likely pick up a copy of the first book now to see how their relationship developed. I liked the fantasy world that the author created and I loved all the paranormal elements – witches and warlocks, familiars, spells, special gifts etc. There was a strong good vs. evil theme and plenty of suspense and intrigue. In the main it was fast paced and there was a decent amount of action mixed in with the romance, exactly as I like it. While I liked Brye and Josh as a couple, for me the relationship lacked depth. I find this a lot with books of a shorter length – there isn’t enough time to allow the reader to form a genuine emotional connection with the characters, and that is what I felt with this book. Brye also goes through a significant metamorphosis and it just happened too quickly to be believable. A few more chapters to flesh this out would have been beneficial in my opinion. At times, some of the dialog felt stiff and unnatural though in the main the writing is decent. In summary: I enjoyed this book though I wasn’t blown away by it. If you are a fan of paranormal romance you should check it out. Thank you to the author, publisher, and PR company for giving me the opportunity to read this book. I love it! Cant wait to read the book! It was a good read. I hope you like it Kim! Sweet! Thanks for the review! I always like it when authors recap enough in the second book so that it could be read as a standalone, nevertheless I still prefer to read a series in order. I like the sound of the nice mix between action, romance and suspense. It sure sounds like a nice book. Although I have the same issue with shorter lenght books that I often feel the depth of the romance less as everything happens a bit too fast. I hope you’ll enjoy the first book as well once you get around to reading that one!